If you’re looking for an ideal cross section of ultrarunners, we humbly propose that you can’t do any better than the collective staff at UltraRunning magazine. Our coterie of writers, photographers, editors and staffers represent the full spectrum of our sport: from Grand Slam winners and 14-time Western States champions (OK, there’s only one of those) to sponsored elites, to life-long midpackers (such as your author) and complete neophytes trying to finish their first 50k. We come from all walks of life: from sponsored professionals to weekend warriors, from senior citizens to bright-eyed youngsters, from Strava-obsessed data freaks to leave-the-watch-at-home Zen runners. Normally when it comes to testing and reviewing products, our approach is to offer descriptions and provide specs in a predominantly objective manner, recognizing that the ideal item for one user might be a terrible option for another person, depending on each runner’s preferences and needs. To borrow a media slogan: we report, and you decide. However, for the holiday season, we’re changing the rules. This is the time of year for gift giving, for bringing joy to others with thoughtful things they will appreciate and benefit from. Or, if you prefer the Santa Claus approach, it’s the time to ask for what you really want. In either case, we’re here to help. Over the past several weeks we’ve collected recommendations from the entire UR staff about their favorite gear and products they’ve used in 2014. In the paragraphs that follow, we declare our love for specific items in hopes that you’ll receive just as much joy from them. We’re big advocates for supporting your local running store, so do the right thing and make that your first point of inquiry when looking for specific items. There are many excellent, independently owned stores serving the ultrarunning community – our hometown favorite is the San Francisco Running Company – and they deserve your business whenever possible. If you’re not close to a running store, ZombieRunner. com is an outstanding resource that carries almost everything an ultrarunner needs. REI is also a very comprehensive provider, either from their brick-and-mortar stores or online. Otherwise, you can purchase many of these items directly from the company websites. CLIF HOLIDAY BARS Every year CLIF offers a limited release of three beloved holiday flavors. This year the lineup is Pecan Pie, Spiced Pumpkin Pie and Iced Gingerbread, and they all taste almost like the real thing. The annual promotion is also true to CLIF’s charitable ethos, with 1% of sales donated to Protect Our Winters, an organization that seeks to minimize the impact of global climate change on cold-weather mountain sports. Available for $1.39 each at select retailers. HAMMER PEANUT BUTTER CHOCOLATE GEL Hammer has come up with a savory and easyto- digest killer gel with this one. Plus it features Hammer’s great blend of predominantly complex carbs and four key amino acids. And in the gel category it is priced right at $1.40 per packet, or $19.95 for 26 servings at hammernutrition.com. ROCTANE GELS BY GU ENERGY OK, this is a lot of gels, but for long ultras it’s good to mix up and vary your fuel sources. For the late stages of any ultra, Roctanes are a solid choice. These premium gels have a varied carb profile for maximum fuel, branched chain amino acids and the electrolytes to get you home. There are many new and interesting flavors too – Watermelon/Kiwi and Lemonade are refreshing on a hot dusty day. You can get eight packets for $20 at guenergy.com. SPEEDGOAT KARL’S 100 MILE COFFEE BLEND What’s not to like about coffee with bold flavor and a killer name that was created by one of the most accomplished runners in our sport? Nothing that we can think of. You may never run like Karl Meltzer, but at least you can drink like him. Available at jamesoncoffee.com; $12 for 12- oz packet, $38 for a one-pound bag. SPORTLEGS Several of our staffers are true believers in this product for racing ultras. The capsules are a combination of vitamin D, calcium and magnesium, and taking them one hour before exercise increases blood lactate levels. This slows your body from releasing lactic acid into the muscles, which prevents muscle burn and improves your overall performance capacity. The calcium and magnesium (two of the fiv electrolytes your body needs), help prevent muscle cramps throughout long and hard endurance efforts. You can also take them after a race to bounce back from muscle fatigue more quickly. $30 for 120 capsules, available at REI. HAMMER TISSUE REJUVENATOR For those of us who have been training hard while dealing with injuries, taking copious amounts of this glucosamine, chondroitin and MSM compound really seems to reduce inflammation and help with our recovery. There are other compounds in these pills, including turmeric and quercetin, that facilitate healing and recovery. Bottles sell for $30 for 120 capsules from the Hammer Nutrition website or REI.com. SUCCEED RECOVERY PACKS These packets of recovery supplements include glucosamine sulfate, key amino acids and vitamins that aid in tissue repair. They are designed to be taken approximately one hour prior to sleep, to optimize your body’s natural recovery and repair phase. It’s great stuff coming from the people who’ve been in the supplement business as long as anyone in our sport. A set of 5 packs retails for $11 at succeedcaps.com or you can order at 970-225-8026. AMPHIPOD HYDRAFORM THERMAL-LITE 12OZ. HANDHELD You’d think our nutritionist would recommend a food or drink item – but Sunny Blende’s top pick for this year’s list is the container that carries all the fluids she tests. Here’s her story: “My hands just don’t grip like they used to, and this ergonomic handheld is just what I need to carry comfortably. I can mix electrolytes or a powder in it, or easily carry tabs, gels, chews, bars or a baggie with whatever I want in the lowprofile pouch attached. I have even carried my favorite ‘real food’ fuel of a tortilla with hummus and because the pouch is on the outside, nothing gets squished and crushed! Love it!” $22 at ZombieRunner.com. HYDRAPAK STASH BOTTLE Redesigned this fall, these cool little bottles hold 750ml (25 oz) of fluid when full, and when empty they collapse down to 2 inches high, with a molded shape that can be stacked on top of one another for easy multi-unit storage. $21 from REI. ULTRASPIRE MBS BELTS The Molecular Belt System is a mix-and-match method of creating your ideal waist belt. Customization options include the volume of fluid you want to carry, and the number, type and location of storage pockets. One recommended combination is the Synapse belt ($38) with the Electron connector ($29). Available from UltrAspire.com as well as ZombieRunner.com. NATHAN ELEVATION Nathan took their uberpopular race vest design and added on enough storage capacity to make it UTMB-ready. The company’s largest capacity pack is also one of its best; even if you don’t run in the Alps, you’ll definitel love the Elevation on all-day adventure runs closer to home. $150 from ZombieRunner.com. MOUNTAIN HARDWEAR MIGHTY POWER COOLER SPORTS BRA This is elite runner Ellie Greenwood’s favorite, and has a very simple, no-fuss design that is comfortable to wear even on long runs in hot weather. Ladies, this is an essential piece of ultrarunning gear that also looks great and is reasonably priced. $45 from Mountain- Hardwear.com. RYP WEAR RACE SKIRT From our contributor at- large Lisa Henson: “Years of running exclusively in skirts has made me pretty knowledgeable on the subject of which ones look best, fit best and perform best. While many running skirts meet one or even two of these criteria, RYP Wear has somehow managed to ace all three. They come in dozens of excellent colors and patterns and even offer a slightly longer version for those who desire more coverage or something more appropriate for wearing around town. Both styles are slightly longer in back and have a wide, smooth, low-rise waistband with a flattering little dip in the front. The under short is largely seamless with a small pocket on each side. Most importantly, the shorts do not ride up. If you want to run in cool comfort and look great doing it, a RYP Wear race skirt should be #1 on your wish list.” $60 from rypwear.com. DRYMAX SOCKS In the sock category, Drymax are far and away the favorite of the largest number of UltraRunning staffers. Some of us prefer the regular Trail Run model ($13), and others are partial to the thinner Lite Trail Run version ($12.50). Both models are winners, and they’ve both been updated for 2014. These socks are great performers, and unlike some others they are durable and long lasting, even for multiple trail ultras. ZombieRunner.com carries the new versions, and is also selling the previous models at discounted prices while they last. CEP PROGRESSIVE+ RUN SOCKS 2.0 This was the popular winner in the compression sock category from our review this fall; they have an ideal combination of comfort with the right amount of graded compression. Nothing can protect you better from the pounding of an ultra on your lower legs and ankles than these medical-grade socks. $60 from ZombieRunner.com. TRAIL TOES If you don’t like blisters on your feet during or after an ultra, this product is for you. Several of our staffers slather this on before dusty trail 100 mile races, and when they peel their socks off after 24 hours (plus or minus), their feet are still feel fresh (relatively speaking!) and blister free. You can get a small tub of this for $11.99 at trailtoes.com. THE NORTH FACE IMPULSE COVER IT It’s a beanie… or a sweatband… or a neck gaiter… or a wristband… or an ice container during hot ultras… or anything else you can imagine. This soft, stretchy, moisture-wicking accessory may become the most versatile piece in your collection. $25 from thenorthface.com. JULBO DUST SUNGLASSES Most ultras in our company’s local stomping grounds (Marin County, CA) feature trails that take you from sunny, exposed hillsides, into deep redwood forests… and back and forth and back and forth like that for 31, 50, 62 or even 100 miles. That’s when photochromic lenses come in handy: they get dark under the bright sun, and lighten up in the shade, so you don’t have to remove and reapply them throughout the race. The Dust’s highly responsive Zebra photochromic lenses are also large enough to protect your eyes from constant wind and dust exposure during a full trail day. These are premium glasses, but worth every cent. $170 at julbousa.com. SUUNTO AMBIT 3 PEAK The Ambit 2 emerged as the undisputed favorite from our GPS review this spring. Since that time, Suunto has introduced the Ambit 3 Peak, which has all the same features as the Ambit 2, plus improved multisport functionality for those of us who dabble in swimming or biking, as well as enhanced mobile connectivity that allows it to function as a “smart watch.” The Ambit 3 Peak retails for $500 without heart rate monitoring, or $550 with HRM from REI. You can find good discount prices on the upgraded but still very outstanding Ambit 2 at various online dealers. NATHAN ZEPHYR FIRE 300 HAND TORCH You wouldn’t think that the basic hand flash light could see further design innovation – but that’s just what Nathan did with its Zephyr Fire models. The compact torches feature a 24-degree downward projection angle so you don’t have to keep your wrists cocked forward while running. There’s an adjustable soft handstrap, a red blinker on the back of the light and an emergency siren in the event of an emergency. Best of all, it’s rechargeable. $55 from ZombieRunner.com. PETZL TIKKA RXP It’s hard to say what we like best about the rechargeable RXP: the brilliant reactive technology that knows just how much light you need and delivers it immediately; the sheer brightness (max 215 lumens) to light up the darkest trail; or the comfortable, compact construction that easily fits into your pocket after the sun comes up. Our favorite headlamp of the year, bar none. $95 from REI. THE TERRIBLE AND WONDERFUL REASONS I RUN LONG DISTANCES by Matthew Inman. The Oatmeal comic guy is now a New York Times bestselling author, and his new collection of comics and stories about distance running will resonate with anyone who has ever struggled with motivation, gastric issues or toenails falling off. This easy and lighthearted read sells for $11 at Amazon.com. HAL KOERNER’S FIELD GUIDE TO ULTRARUNNING Anytime Hal talks about ultrarunning, you should listen. Thankfully, he’s written a book that’s a comprehensive instruction manual for participation in our sport – effectively packaging into 225 pages the lessons most of us take decades to learn. Your copy is available for $12 at Amazon.com. CRIES-AT-MOON OF THE KITCHI-KIT This novel is a fun and engaging page turner that traces the parallel lives of a Native American tribe and a modern day anthropologist and his spiritually gifted student who bridges the time and space gap to connect and save the tribe, and in the process explain anthropologic mysteries. Written by UR Running Wise Columnist Gary Dudney, it retails for $14.95 and is available at Amazon, Barnes & Noble and publisher Black Rose Writing’s website, blackrosewriting.com. GOT TO LIVE Jay Danek’s account of how ultrarunning got him through a personal crisis and transformed his life for the positive. Available at Amazon for $13.95. 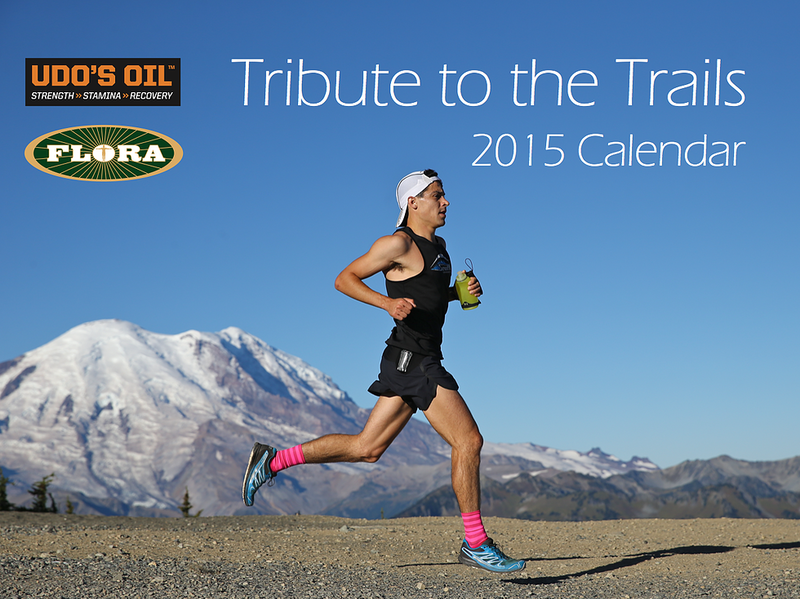 TRIBUTE TO THE TRAILS CALENDAR Glenn Tachiyama’s outstanding photography has graced ultrarunning websites, race programs, magazines and calendars for many years – and the 2015 edition of his calendar maintains the same level of quality and stunning beauty displayed in previous editions. Proceeds from sales support the Washington Trails Association. The calendar is available for $20 at select running retailers (such as our local San Francisco Running Company), or $23 online at ZombieRunner.com. VICTORY SPORT BAGS Elite runner Victor Ballesteros designed the ultimate storage system to use as drop bags at ultras, but their functionality as all-purpose utility bags for gym workouts or family road trips has earned them a following outside our sport as well. Three models are available, all of which are durable, compact and have a number of thoughtful features and design elements that will serve you well, either mid-race or mid-vacation. Our recommendation is the Cougar 1, which retails for $55 at ZombieRunner.com. PRO-TEC 5” ORB It’s hard to believe something so simple can be so effective, but that’s exactly what you get with this dimpled hard foam ball that does an amazing job of deep tissue massage on sore muscles. This proved itself to be a favorite from our injury product review this fall. $20 at REI. STRASSBURG SOCK This product has been a mainstay of physical therapists and chiropractors for decades, but that’s not why we’re including it here. It makes our list because it cured a nasty plantar fasciitis case that had been nagging our publisher Karl Hoagland for weeks – making him happier than the storybook lion who had his thorn removed by a mouse. $40 from thesock.com. CALIFORNIA BOHEMIAN LEATHER BELT One of our favorite companies that embodies and embraces the ultrarunning spirit is this duo of leather artisans who create custom belts to accommodate your 100-mile finisher buckles. Their workmanship is extremely high quality, and they make belts tailored both to your body dimensions and to a specific race. They know which buckles accommodate what belt widths, which ones are compatible with metal eyelets, and so on. They have a large selection of attractive belt styles available, most of which range in price from $60 to $80. You can visit their workshop if you happen to be in Mariposa, CA. Otherwise, check out their work at bohemianleather. craftlaunch.com. So there you have it: your comprehensive gift guide for that special ultrarunner in your life, courtesy of all of us here at UltraRunning magazine. So much good stuff. And don’t forget, it’s perfectly OK if that special ultrarunner in your life is you!